The museum, installed in the foundations of the basilica, 1st century A.D., presents a great number of objects bearing witness to the life of inhabitants of the Colonia Iula Equestris. Adults: CHF 8.– . Children up to 16: free. Free entrance every first Sunday of the month. The Historic Museum (founded in 1860 and established in the Castle as from 1888) occupies the entire building, allowing visitors to explore the Castle itself and absorb its atmosphere and also turn their attention to particular objects in the collections. Impressive aquaria, model boats, a fisherman’s cabin, works of painters and learned people from the Lake Geneva area and very varied temporary exhibitions : this is the only museum to present the whole of the natural and cultural heritage of Lake Geneva, one of the largest lakes in western Europe. More than 20 kinds of daytime and nocturnal birds of prey live alongside numerous other birds. Mammals such as wolves, lynx and foxes will allow you to discover their universe. Reptiles are represented by 35 species including the cistude, the only tortoise native to Switzerland. Without forgetting, of course, amphibians and fish as well as invertebrates, from wood ants to the European scorpion. 2000 years of history, more than 40 museums, widespread activities. The Calculus affair was published by Hergé in 1956. One of the greatest comic strip cartoonists of the 20th century had chosen Switzerland, and in particular Nyon, to add spice to the plot of the disappearance of Professor Calculus. Moreover, this character is inspired by the scientist Auguste Piccard, grandfather of Bertrand Piccard, himself a Tintin lover ! The Château de Prangins is an ideal destination for visitors whishing to discover daily life in the 18th and 19th century. Various objects, written documents and multimedia stations present the cultural, political, economic and social aspects of Swiss history. Signal de Bougy. Golfing lessons, minigolf, farm and wild animals, children’s play area and many other activities. From the last Saturday of February until the first Sunday of November: open every day from 9 am to 10 pm. Hugh outdoor pool (50 m) le Colovray with access to the lake. The small towns and villages of La Côte, some hidden away in the vineyards and others on the shores of Lake Geneva are worth while more than just one visit. This medieval town situated on a promontory on the French shores of Lake Geneva dates back to the 14th century and has preserved the most important heritage of the past as the castle and the town walls. 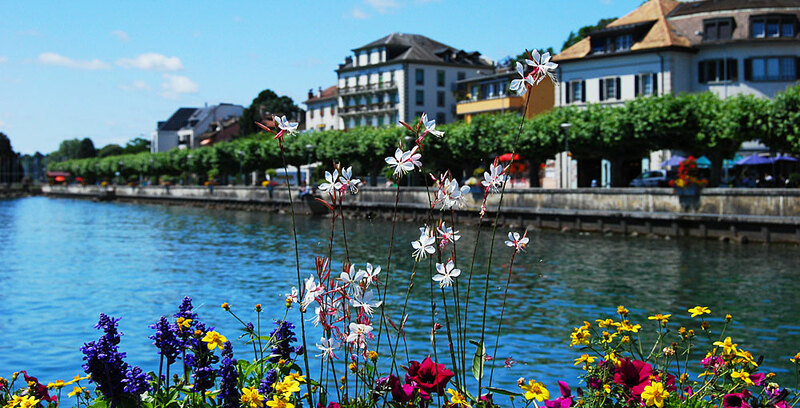 Yvoire, a modest fishing village in the beginning of the 20th century, is now a classified village which has several times won the French national flowering contest and is a member of the association of the most beautiful villages of France. Discover the House of Basketball! The home of all basketball lovers around the world!Get ready to discover basketball in an exhibition where you will be taken on an exciting journey through the Story of Basketball – from its birthdate until today. The collection, the world famous athletes and the interactive area will make this an unforgettable experience for families, schools and basketball lovers. Saint-Cergue is situated on 1’041 m (3,415 ft). Easy to reach by train (appro. 45 min. 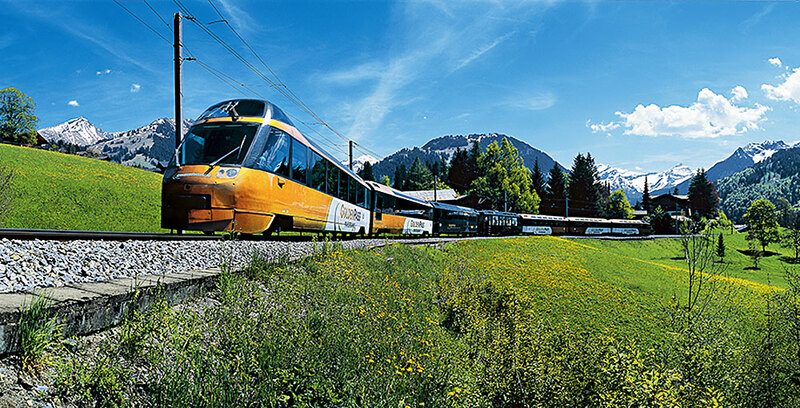 St. Cergue offers a great view to th French Alps and is the departures points of many excursions. The Camino de Santiago leads from Lake Constance to Geneva. Bordered with churches, abbeys and chapels, it offers a unique hiking experience on a historical trail and through varied landscape. All pilgrims on Camino de Santiago are welcome in our hostel. 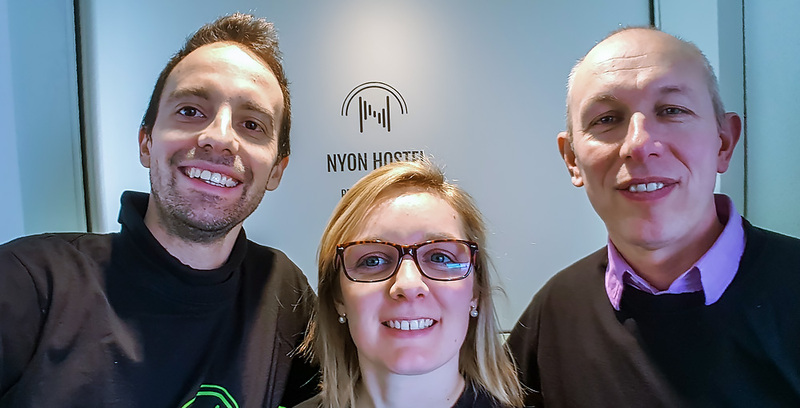 Nyon Hostel offers you a stay for great value for money. We are sure you will enjoy your stay in our hostel and you can prepare the upcoming hiking days.